The personal representative who deals with a deceased’s estate when the deceased has not made a will or there are no executors able to act. Everything that a person owns including cash, investments, property and personal possessions. The person/people chosen to look after the donor’s financial and/or personal affairs when they are unable to do so. A gift of property left in a will. A person who will inherit something under a will or benefit from a trust. A short document that makes a minor amendment to an existing will. Codicils are used less frequently nowadays since most wills are saved electronically and can be easily amended. The branch of the court that deals with powers of attorney, deputyships and making decisions for people who lack mental capacity. The method whereby beneficiaries of a will are able to change it to benefit someone else if they are all in agreement. It is treated as though the testator had made that change in the original will. 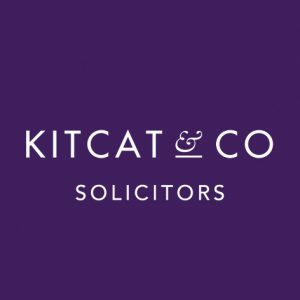 A person appointed by the court of protection to manage personal and financial affairs of a person who lacks mental capacity and has not made a power of attorney. 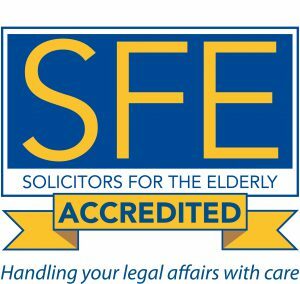 Where a person has lost their mental capacity and cannot make a power of attorney then someone can apply to and be appointed by the court of protection to make decisions on their behalf. A payment made to a third party. For example, the fee paid to the probate registry to obtain the grant of probate. This may be paid initially by your solicitor and then the fee added to your bill to reimburse them. The person who makes a power of attorney. A statutory form of power of attorney that could be made before 2007. It is still valid today and deals only with the donor’s finances. All of the assets owned by the deceased at the time of their death. The person named in your will to deal with your estate. A document issued by the probate registry to appoint an administrator to deal with the assets of the deceased where there is no will. A document issued by the probate registry to appoint an administrator to deal with the assets of the deceased where there are no executors appointed in the will, no executors still living or no executors willing to carry out executor’s duties. A document issued by the probate registry giving the executors the authority to deal with all the assets of the deceased. Either the grant of probate of the grant of letters of administration. The person you name in your will as your preferred choice to care for your minor children. Tax payable when the estate is over the inheritance threshold (currently £325,000). A person who has died and not left a legally valid will. A statutory form of power of attorney made since 2007 which deals with both the donor’s finances and decisions regarding their health and welfare. A gift of a specific item or cash sum left in a will (except property). The debts owed by the deceased at the date of their death. The executive arm of the court of protection that deals with applications for powers of attorney and deputyships. A gift of money under a will. The executor or administrator managing the deceased’s estate. A document drawn up to appoint specific people to deal with another’s personal affairs. A person named in a will who has died before the deceased. The process of dealing with someone’s estate where there is a will. One of several offices of the court around the UK that is able to issue the grant of probate or letters of administration. All the rest of the deceased’s estate after payment of funeral expenses, debts, legacies, bequests and any taxes. A person entitled to the residue. The statutory rules that govern who will act as the administrators of an intestate estate and how the assets of the estate will be divided between the potential beneficiaries. A gift of a specific object under a will. The person (male/female) who makes the will. A legal mechanism that allows trustees to hold assets for designated beneficiaries to enjoy. The person (often an executor) who legally owns assets subject to a trust. A legal document that declares a person’s wishes about the way their estate should be handled when they die.